Pitcher Indoors is a Lightning Application for inside sales and marketing organizations that enables sales reps to stay connected with customers and prospects. 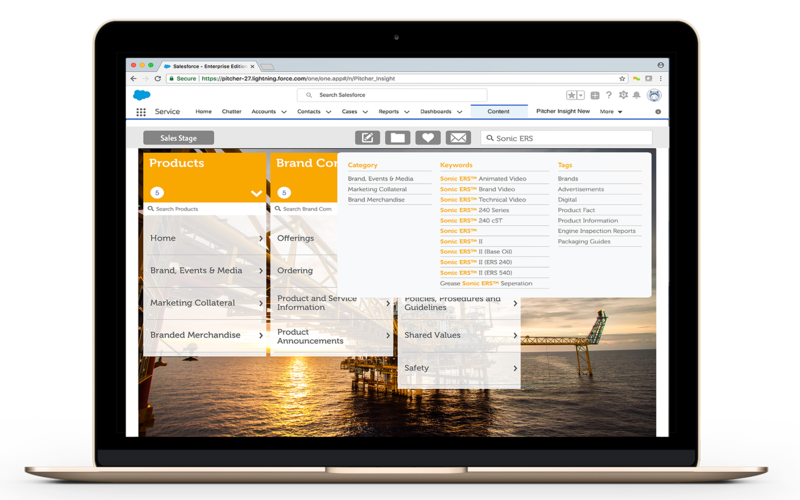 Superior content search and customization within Salesforce.com. Engage your customers without leaving your CRM and empower content and interactions remotely. 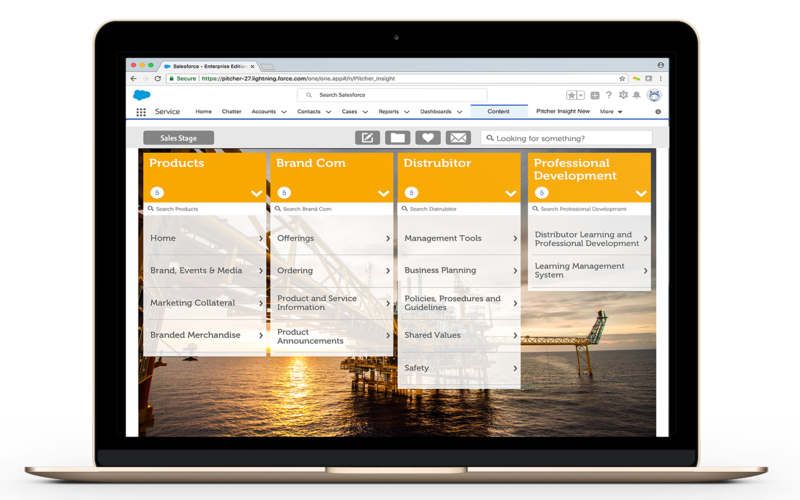 Now users can use Pitcher's sales enablement features without ever needing to go outside. 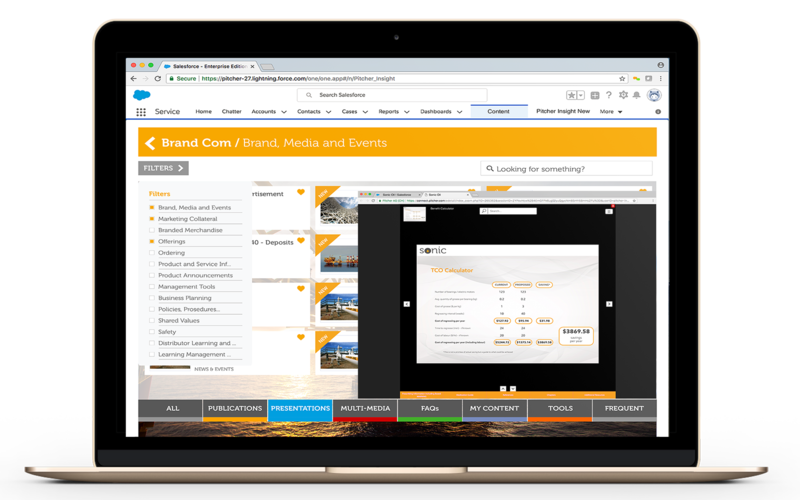 Empowers your marketers to create the best presentations to prepare your sales team for meetings with the most recent and on-brand material. Create a content flow based on customer behavior with the ability to see where content was launched and opened. Search within the document or across documents offline while results are highlighted for easy browsing. You can instantly search Wikipedia and a dictionary for user training and live discussions. Empower your sales reps on a sales call. Enhance presentations by adding any CRM field to tailor and customize further customer engagements. Send out flexible and personal emails with prebuilt templates. 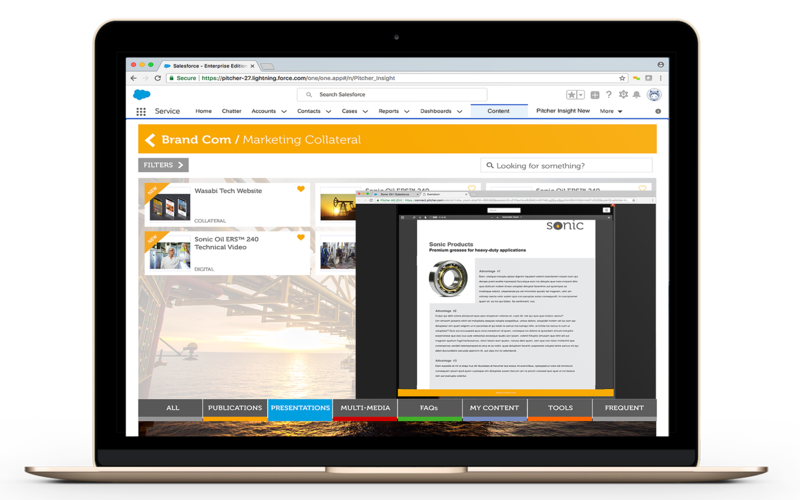 Enjoy built-in analytics capabilities giving you the 360-degree view of each of your customer journeys such as time spent on content, which pages or messages were read to get meaningful feedback on your content. Depending on the type of customer or the kind of opportunity, get recommendations on the most relevant content. Define the mapping or let Pitcher learn by doing. Hands-free Artificial Neural Network based learning algorithm can analyze thousands of interactions and recommend the next best action.